My son’s birthday is on Monday. I already sent him a box of goodies, but in all his 21 years we’ve never been in different countries when it was time to celebrate. SinceI can’t be there, I thought it would be fun to focus on some things related to where he is right now. And where I’ll be in approximately 213 days…not that I’m counting. Since we’re buying our plane tickets for our trip in May this weekend, you can bet I’ve already poured through these Italy Travel Tips from Ordinary Traveler. This Banana Gondola from Kiddie Foodies is a cute, and healthy, nod to Italy. I’ve never tried this, but these instructions on How to Make Limoncello from Confessions of a Foodie have me sold. Do you think they actually have these in Italy? If not, I can make my own here at home with this Italian Soda Bar from Tidy Mom. This Italian Rainbow Cookie Cake from Always Order Dessert is just gorgeous. I’m not sure I could actually eat these Italian Peach Cookies from Key Ingredient. So cute! I can see why this Italian Wedding Soup from Good + Simple is her daughter’s favorite. 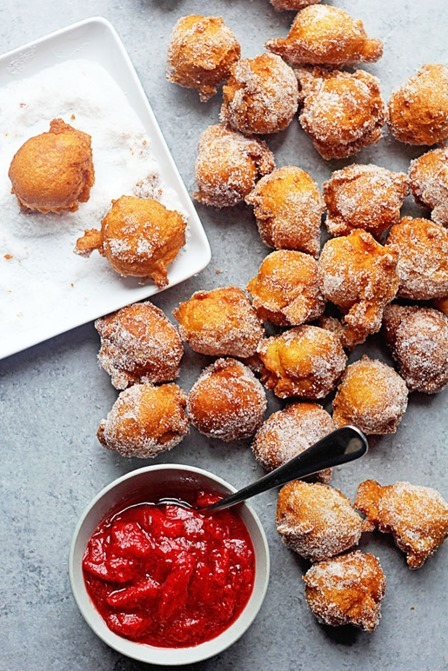 These Castagnole (Fried Dough Balls with Sugar) from Grandbaby Cakes look like something my son is probably looking for while he’s over there. This Olio di Peperoncino (Italian Chili Oil) from The McCallum’s Shamrock Patch would make a great holiday gift.